We offer a full variety of mortgages including FHA, VA, Conventional, USDA, Jumbo and Portfolio mortgages in the Portland area and beyond. Portland started as a place along the Willamette River between Oregon City and Fort Vancouver known as “the clearing”. In 1845 Francis Pettygrove and Asa Lovejoy jointly owned the claim to this land and had their famous coin toss to decide whose hometown it would be named after. Pettygrove, of Portland ME, won the toss and Portland OR was born. In the late 1800s Portland was most famous for being the birthplace of Shanghaing drunk sailors and by the early 19th century was generally regarded as the dirtiest of all cities in the Pacific Northwest. Over time though Portland residents cleaned up the city and it has become known around the world for it’s beautiful skyline, clean water and gorgeous views of Mt Hood. Today’s Portland is an eclectic city with many different neighborhoods offering very diverse and safe places to live. Portlanders are friendly and caring about each other and the environment around them and have a saying “Keep Portland Weird” – most are happy to live by those words. If you are in the market for a refinance or purchase in the Portland market please feel free to contact us for a no obligation discussion to find out which financing options best fit your needs. Remember, Avelloe Mortgage Corporation never charges application or processing fees saving our clients money at the get go on their mortgage. We're a full service independent mortgage broker. See what people are saying about Avelloe. Learn more about Avelloe and who we are. Want to have a chat? Get in touch or pop into the office. If it were possible to give a 12 out of 10 I would give a 15 to David Feathers and his team at Avelloe Mortgage. He was absolutely unbelievable. His process is the most open and honest of anyone I could imagine in any business, let alone the mortgage field. He made us feel at ease with issues regarding the "fiscal cliff" and presidential election. He has decades of experience both as an independent broker and working at the highest levels for the banking industry. Most of all his morals and general vision of what it means to be a good person and a good businessman are beyond amazing. The way he conducts business you absolutely know he is working for YOUR best interest. I really can't say enough how great a job David did. I will recommend him and Avelloe Mortgage to anyone and everyone. He really is the best of the best. David was awesome in every aspect of his job. He was knowledgeable and communicated the process and options very well. He was efficient and quite honest. I felt like he was acting in my best interest and I do not think you can find a better mortgage broker. I was referred to David by a close friend and will be referring him to my other friends as well. My husband and I had an amazing experience working with David and as first time home buyers we were filled with questions on how everything works. David was always kind and replied back quickly. I've recommended him to everyone I know looking to buy a home. We worked with Hidie and David when we bought our first home they were both very nice and easy to work with.. The best mortgage experience I've ever had, after dealing with other companies trying to screw me over, avelloe did everything right the first time without the hassle. I recommend them to everyone. Even helped me when I had problems with my servicer from the first house. They will always have my business. Phenomenal. If you're looking for a mortgage broker in Portland you've found him. We have turned to Avelloe several times now because they are just wonderful! David truly knows this business. He and his team are incredibly responsive. They're patient, thorough, and have gone out of their way to find us the best situation. They take the time to make sure we have a good understanding of the options. We've learned a lot from David and (bonus!) the Avelloe team is fun to work with. Great customer service as well as flexibility with products and terms. I would definitely recommend Avelloe Mortgage. David is amazing, I had never used a mortgage company before and he explained everything and made the process seem very easy. I would not use anyone else. If you are looking for a honest and reliable mortgage broker then look no further. You will not be sorry. David was extremely personable, knowledgeable, and quick to get things done! Made our first buying experience very easy and answered every question we had with honesty, no sugarcoating! That was 5 years ago and I still recommend him to all my friends and family because even if he can't help them, he knows someone who can. David is amazing! As first time home buyers we had no idea what to expect of the whole process, but David didn wonderful job at explaining everything to us and walking us through every step. He was always available for meetings and phone interactions. I would highly recommend Avelloe. We were so impressed with how Avelloe handled our transaction! They were very quick and accurate with their work as well as just being a complete pleasure to work with! We felt like we were working with friends. Very friendly, fast in response and processing, better rates compared some other mortgage firms. I worked with David in two occasions. He was very helpful and it was a pleasant experience. David assisted us on three separate refinances. We are now retired and I hope we will not be in a situation that would necessitate yet another refinance, but if we had to do it, David is the mortgage financing expert who would use. First impressions are very important and we lucked out when we met him at his previous mortgage company, before he started Avelloe. We followed him when we needed subsequent refinancing. His knowledge is superb and he follows through the entire process. We recommend him to anyone seeking their first mortgage and any additional mortgages including refinancing. Working with David is easy. He guided me though a cash out refinance and purchase of a new investment property. I was happy with his communication and the outcome. If you are shopping for mortgages, I recommend Avelloe. We purchased our first house through David Feathers, and it couldn't have gone better! He was so informative and took the time to explain everything to us, because we really didn't know much. 🙂 He went out of his way to meet us on a weekend, because we were both busy with work. He also sent our pre-approval letter to our realtor on a Sunday night, which is totally outside of his business hours but because of his promptness, we were able to buy our dream home! We highly recommend Avelloe Mortgage Corporation! David helped us with our first home purchase and refi. He and his team were very efficient they know the industry well so we were able to skip a lot of head aches. I have used Avelloe Mortgage twice. Both times David was able to get the best loan terms for us that kept our payment amount very reasonable. Should I need to refi or if we decide to purchase another home, Avelloe is where I will go. Thanks David for your good customer service. I was fortunate to have a great real estate agent for my first home purchase, and he recommended David at Avelloe Mortgage. David was fun to talk to, he was very helpful in getting me into a good mortgage, and explained the details of each step of the process.A few years later, I was at the point that I could re-finance and get rid of PMI, and again David made the process extremely easy. 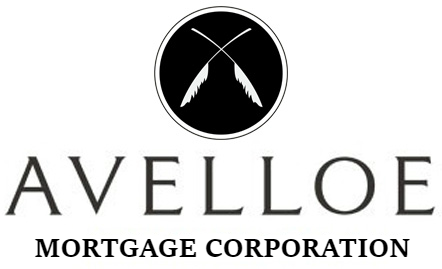 I have recommended Avelloe Mortgage to several friends and co-workers. David is great at what he does! He knows the rules, regulations and the market. We were amazed what what he was able to accomplish for us! In addition, David and his office staff are personable and really care about making the best deal for their clients. My wife and I have used David at least 3 times for refianacing in the past 16 years. He works for you not the lenders and will get you the best rate. When he gives advice it's not to benifit him, but you. He's very honest and hard working. I bought my 1st house and closed back in January. David took the time to Walk me threw the hole process and was a huge help. I had a lot to learn and When I buy my next house I will use him again.P.S. David at Avelloe Mortgage was recommended buy my sister who was also a 1st time home buyer and is more then happy with him. We have used Avelloe Mortgage for a couple house loans and have been very happy with both. We received a great rate and with David's relationships to the lender, the underwriting process was a breeze. He had all of the necessary documentation ready in plenty of time and we didn't need to worry about anything. We have recommended his services to several people in the past and will continue to do so. David was great to work with, not once, but twice. It was just half a year after we bought our house with David's assistance, where he contacted me to let me know of some changes in the rules which allowed us to refinance and not have to pay PMI any longer. We really appreciated that. I sold real estate for twelve years and have dealt with many different lenders. David Feathers of Avelloe Mortgage is hands down the best of the best. We chose Avelloe for our own home loan. David is knowledgeable and experienced and was able to offer a wide array of loan products tailored to our specific needs. From application to closing, he made sure each detail was taken care of every step of the way. He believes in building long term relationships with clients which means he goes above and beyond to make the loan process as smooth as possible. We will absolutely use David and Avelloe again the next time we have a refi or purchase loan need. My experience with the Avelloe group was very professional. I was coming from a frustrating situation and David walked me through all of my options and thoroughly explained everything. The process was quick and the communication was perfect. I highly recommend using David for a home purchase. As a realtor I have had the pleasure of working with Avelloe Mortgage several times when my buyers needed a reliable lender. David is great at coming up with several different loan options depending on each buyers specific needs. He was able to get buyers pre-approved who had been turned down by other lenders. Everyone at Avelloe is friendly, funny, and efficient. My experience has been that they usually have the loan documents ready earlier than expected and they were able to close in 30 days at a time when a 45-day close was standard in the industry. In my dealings, David was straightforward and clear in his communication. He was very helpful in finding options that fit my needs. David kept me informed about the process and was very timely. He knew the steps to keep things on track. I had to go back for a refi on one of my properties. David and his team were the only call I was going to make. They hustled, watched rates, and locked me in during a drop in Sept. Avelloe was able to keep the lock and get us refi'ed in time. - I did call two other brokers and two banks just to compare rates as we were nearing the closing days, and they were in awe!I'm sure I will be back! great work. best rates. responsive to all needs. I was in an odd job situation, banks had said forget about getting a refi. Avelloe team is different though; they can navigate all the various possible lenders and strategies. They were able to find me a refi and save me a lot of money. I highly recommend David and his team to help with any mortgage lending situation. I HIGHLY recommend David and his team for all of your financial needs. You will not find a better broker and financial advisor. David is hard working, honest, and prides himself in finding the best program that fits your individual needs. I went through a highly complicated real estate transaction, which required David to continuously work with the lenders to assure the best possible outcome for me and my family. He keeps you informed of the status throughout the process and leads you step by step from start to finish. Martin D.
David has helped me with my home mortgages several times. He is extremely helpful and has the needed knowledge to get you into the best home loan for you. He explains the loan process step by step for you. He stays on top of tasks, so that there are no hiccups during the process of your home purchase. I highly recommend him. I was a client with Dave 2 plus years ago. He was instrumental to getting me into my current home, and I cannot say enough to compliment the man as a true professional! As a first time home buyer who went through the doubting & reluctance phases, I found Dave to be an honest, educating, and non-pressuring 'breath of fresh air.' Dave took the time to sit with me, go over my credit report, give me handouts on the current realty forecasts/statistics on the house in the community I was interested in, and he gave me a thorough education on mortgage rates, APRs, lenders, FHA loans, and general financing. David is one of the most knowledgeable people I know in the mortgage business. If David cannot get a loan done then it can't be done. He has so much experience it would take too long to list and he really fully utilizes this experience to help people. He is fair, reasonable and really has the customer's best interest at heart. I trust him with my mortgage and I highly recommend him to anyone who needs a Mortgage Broker. It is with honor and pride that I recommend David Feathers. He is an amazing person for whom doing the right thing is not only his code, but also the standard he holds for those around him. I held the distinct pleasure of closing escrows for David from 2005 until my departure from having a 'desk' in 2011. It was hard knowing that I wouldn't necessarily see or talk to him (or his wonderful wife) on an almost daily basis anymore. David Feathers is a consummate professional to whom I sent my children's Kindergarten teacher to when she bought her home! I trust him, and you can too. David is speedy and professional. He has completed loans not only for me but for my entire family as well. I highly recommend him as he will not only explain to you all of your options but also take the time to go over the pros and cons of it all. I trust David absolutely. His work ethic is impressive. His knowledge of the mortgage markets and how to navigate them and produce results is unparalleled. After working in the mortgage industry myself for over 12 years, I get asked for mortgage advice often. I have worked with David for many years over and he has always put is clients' interests first. He is extremely knowledgeable in the business and would always make sure his clients are always taken care of. David is a broker with high integrity and very honest. I would recommend David to anyone I know. David is an excellent Mortgage Professional. He has many years of experience, and has survived the most tumultuous time in our industry. He has great understanding of the processes and regulatory changes that have changed the landscape of the mortgage business. With his knowledge & experience, he has the ability to move the loan from application to closing in an painless & efficient manner. I highly recommend David for any of your mortgage needs. Avelloe was founded by David Feathers, a mortgage professional since 1988, on the principals of effective communication, education, and a "do the right thing no matter the cost" attitude.